"I have been to other PT clinics for treatment of chronic shoulder problems and in one visit, I saw amazing results. My therapist at Power Center did more for me in one visit than the 8 treatment sessions I just had at another clinic!" At Power Center Physical Therapy & Fitness, our mission is to provide exceptional, progressive and cost effective rehabilitation services through personalized care that emphasizes functional independence for you. Keep in mind that you don't pay us a dime unless we consider you to be a candidate for physical therapy. When we do, we will assist you to obtain reimbursement from your insurance provider and help you get a prescription from your doctor. You will get a professional caring physical therapist coaching you to be sure you're giving 100% and doing the exercise properly and effectively. Don't be afraid to reach out for help anymore! 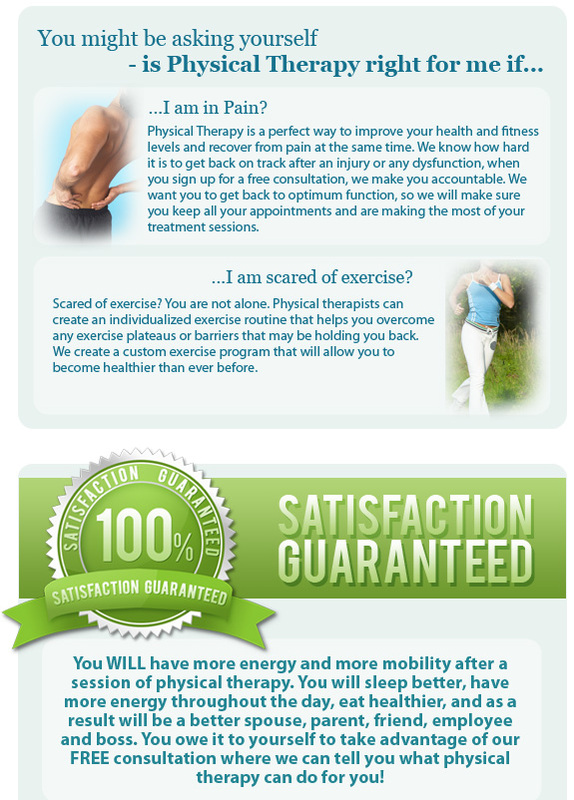 Our physical therapists WILL work closely to help you overcome pain and recover from injuries and muscle dysfunction. ... You Have Nothing To Lose, Except Pain and Discomfort! P.S. Think about where you will be in 30 days - pain free, happier, healthier and stronger? Or will you still be a victim of procrastination yet again? Click here to schedule your FREE consultation!